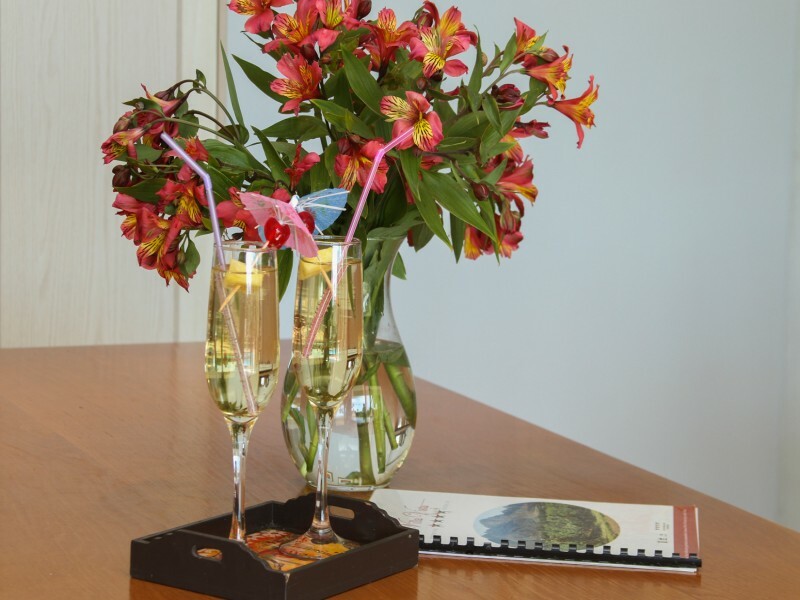 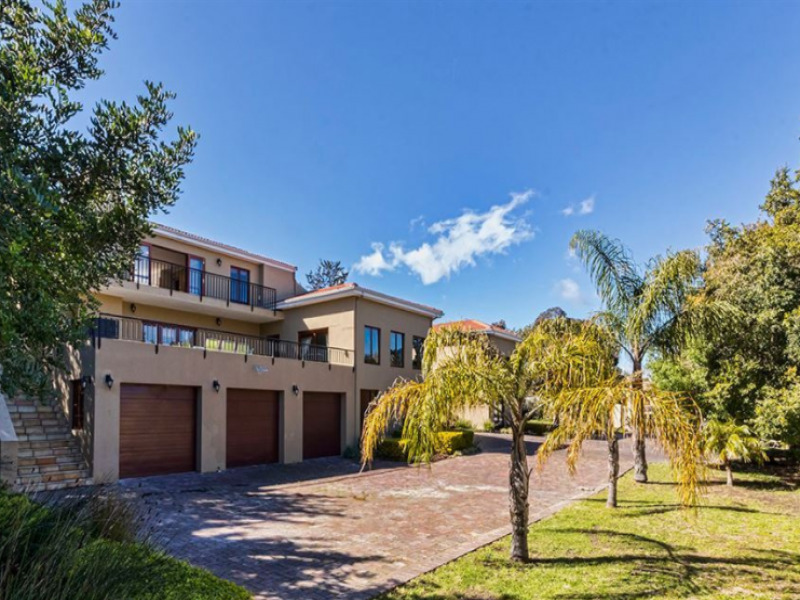 Villa Vista offers two, 4 Star, luxury Self Catering apartments in Somerset West. 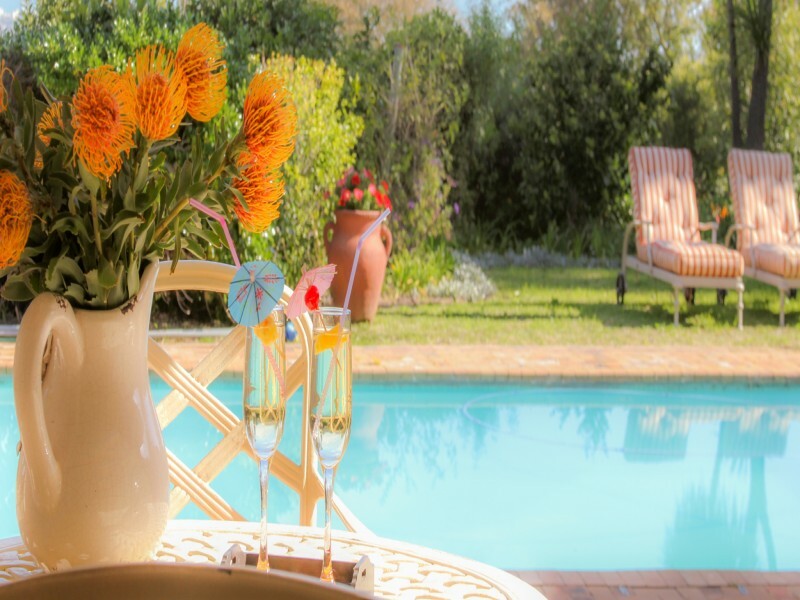 Spectacular views - Luscious gardens filled with birdsong – Far from the madding crowd - Yet close to everything. 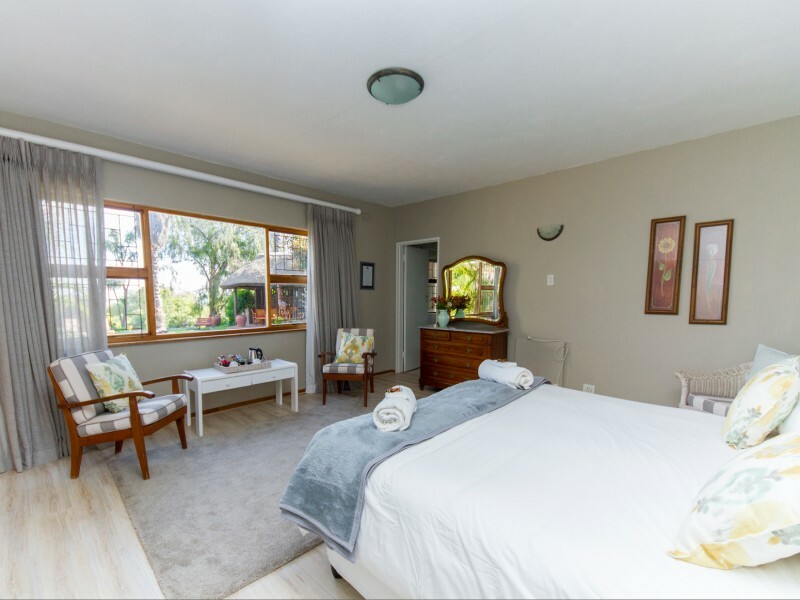 A calm tranquil space with panoramic views of Strand's beautiful beaches on the one side and the magnificence of the Helderberg Mountains on the other. 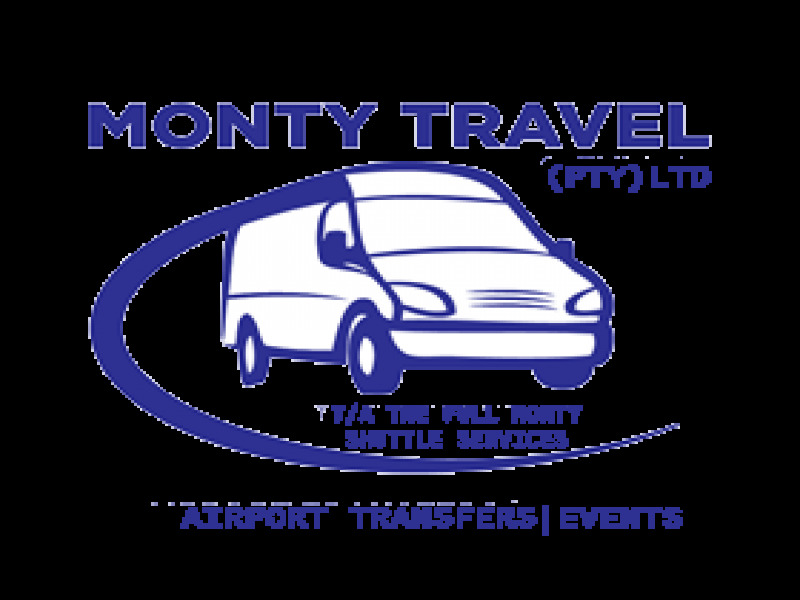 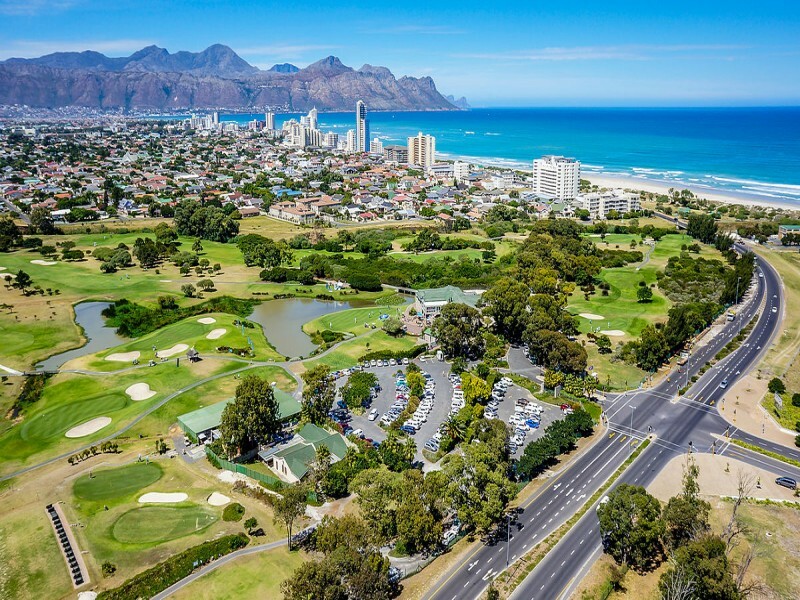 Located in the heart of the winelands, the warm-water beaches and the finest golf courses are a stone’s throw away. 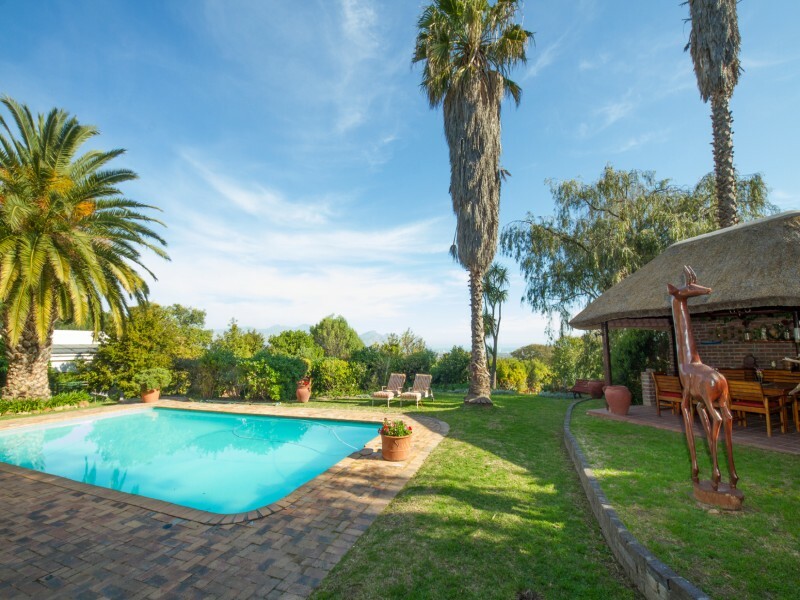 An ideal breakaway for those that love style, comfort, tranquillity – either for the family-oriented holiday or the travelling executives. 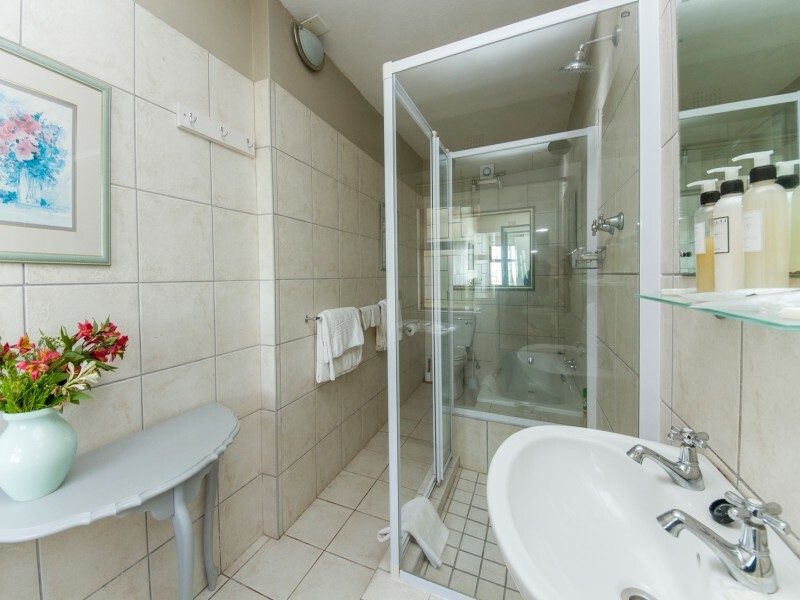 There are only two apartments on offer, this means there is always private space! 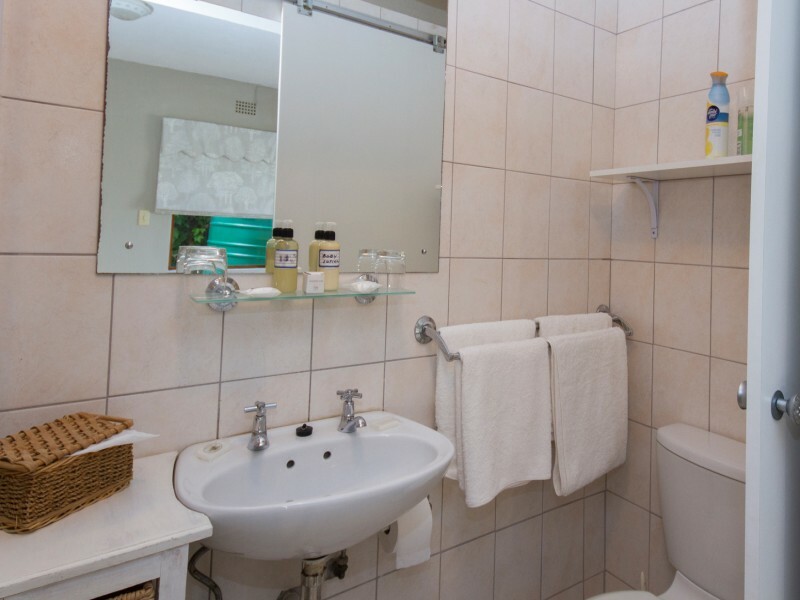 Each of the two apartments is tastefully furnished with private entrances. 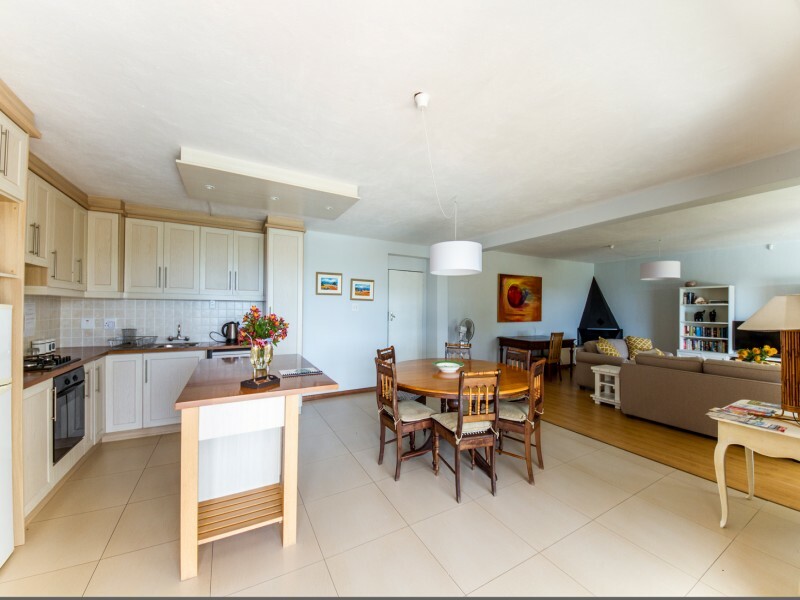 APARTMENT 1 - suitable for up to a family of 4. 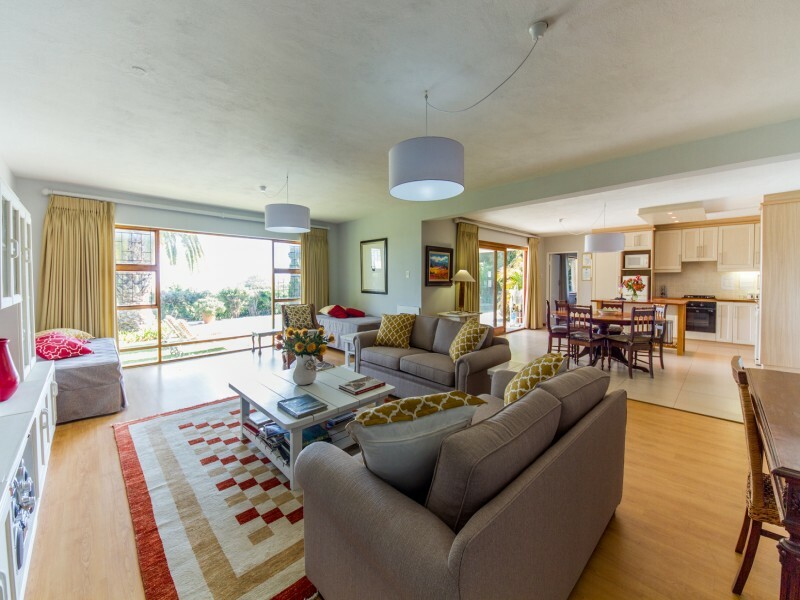 Apartment 1 is the larger and more luxurious of the two. 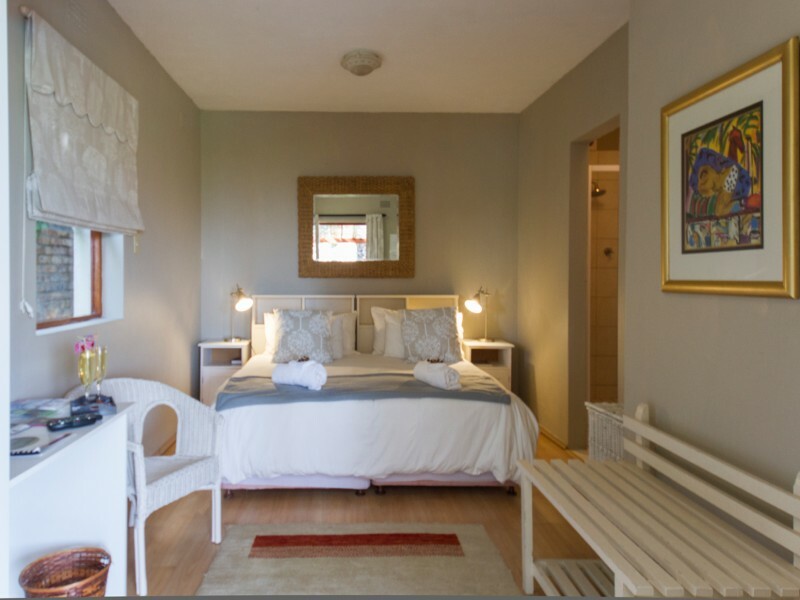 The large family bedroom has a king size extra length bed that can convert to twin beds with pure percale linen and is complimented by an equally spacious lounge and dining room. 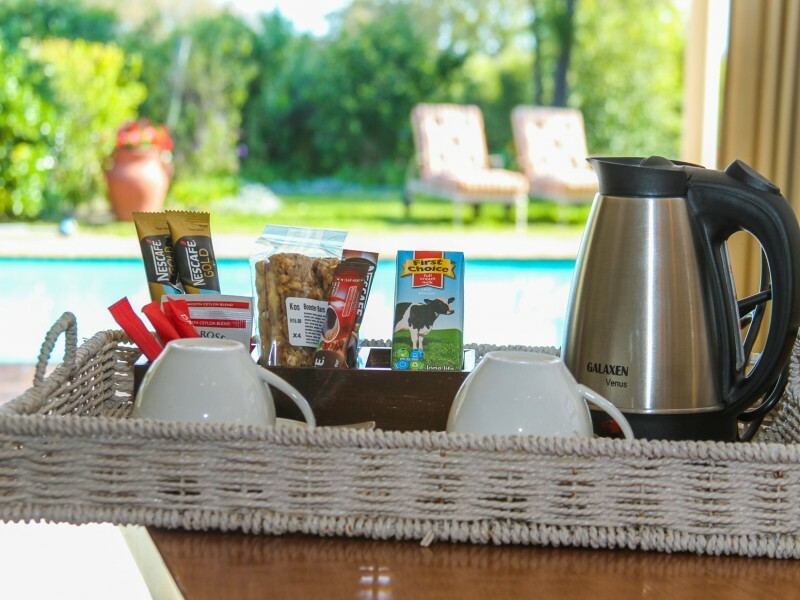 Even the modern, fully equipped, open-plan kitchen faces onto the swimming pool. 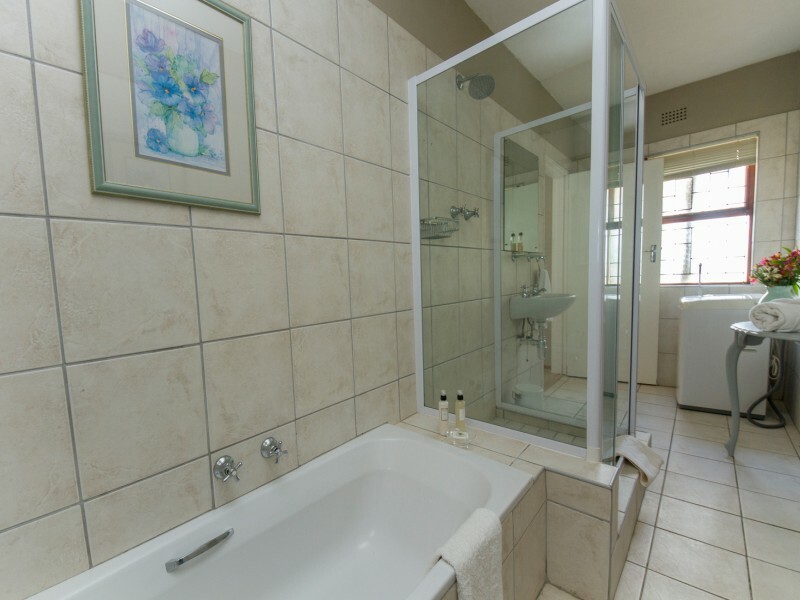 The full bathroom has a washing machine. 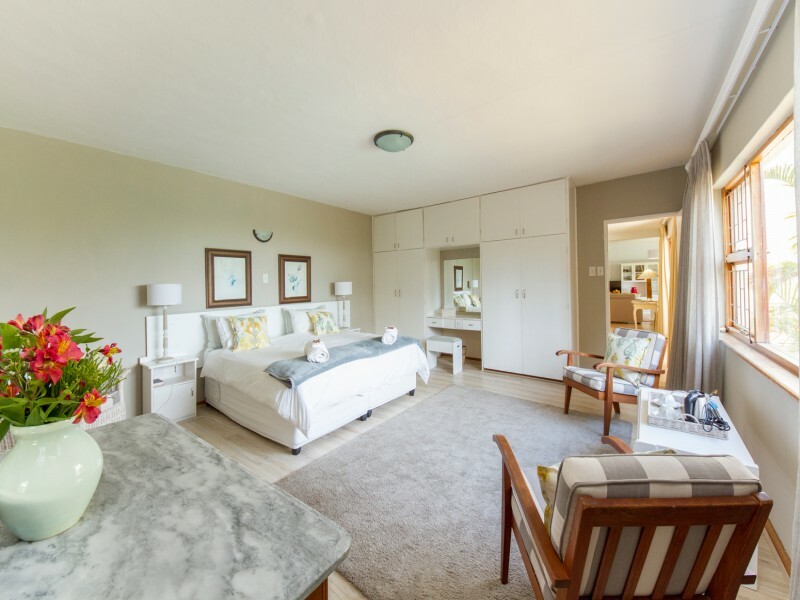 There are two extra twin beds on one side of the spacious lounge making this unit suitable for a family of 4. 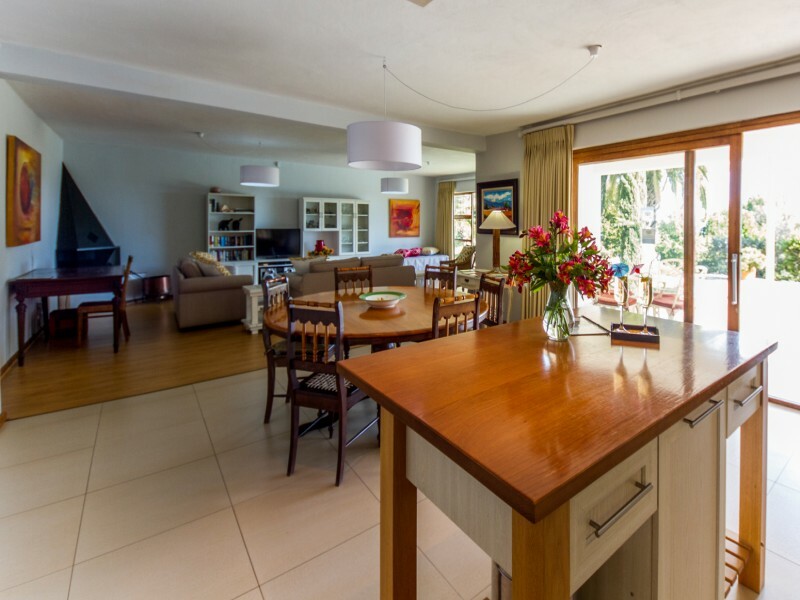 The finishing touches of the fireplace a well-appointed kitchen and a dining room that spills out onto the patio and garden make this a truly wonderful space. 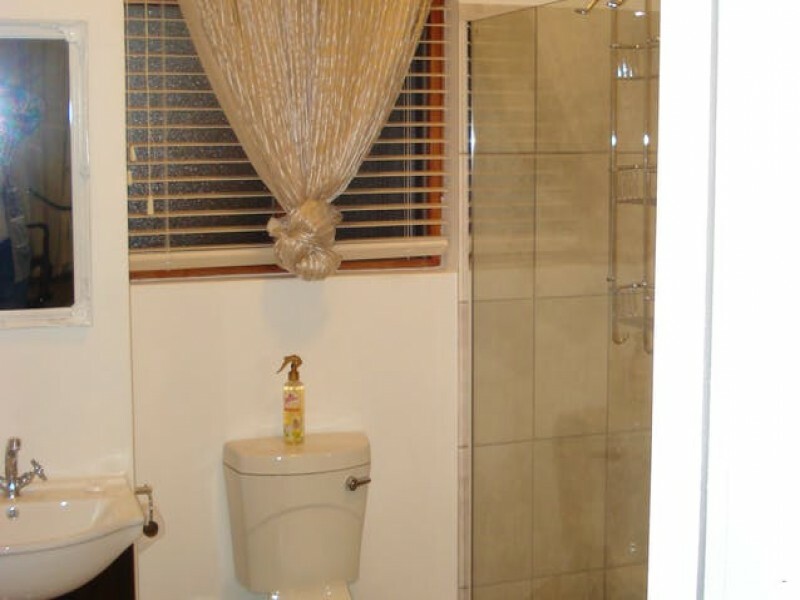 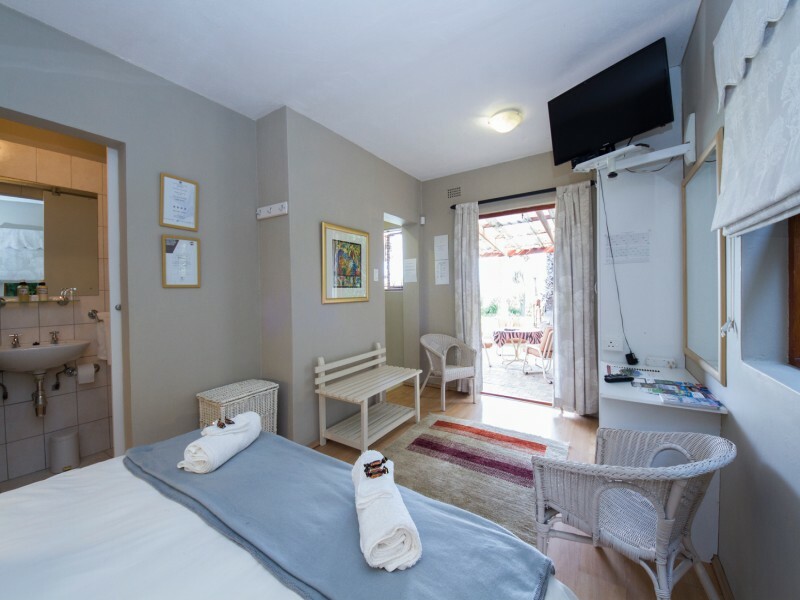 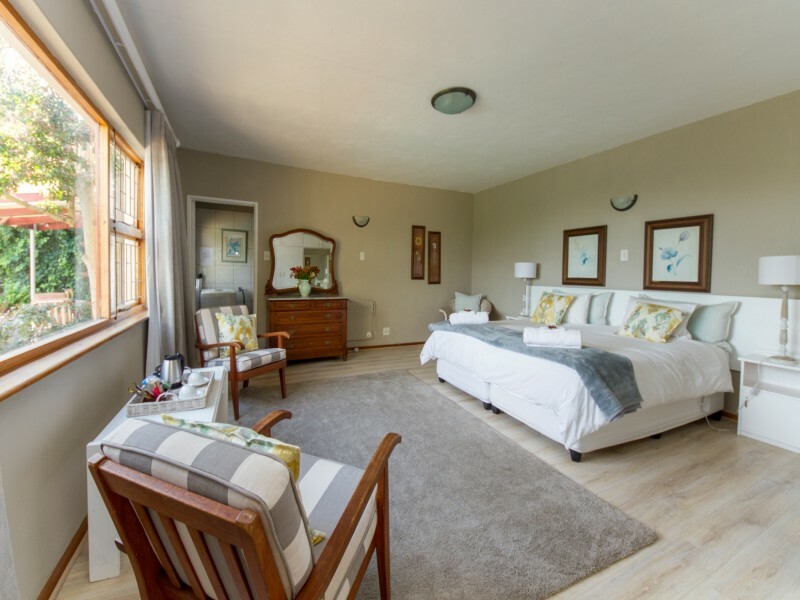 Apartment 2 is a smaller unit and comprises a double bedroom with two twin beds or a king-size bed with electric under blankets for cold winter months, small sitting area with TV, M-Net and shared DSTV, en suite bathroom as well as fully equipped kitchenette.